In my family, the belly is the hardest to maintain. We have a hard time taking our *puson* away, so sometimes, we need help taking them out. One of my aunts took the surgical liposuction just because, sometimes, no matter how we work out our tummy, we never really get the result we want. Since I am not ready (yet, but someday I might be) to undergo liposuction, I got CostMentor quotes and I tried out Aesthetic Science non-surgical lipo instead. Aesthetic Science is a clinic for cosmetic dermatology and plastic surgery and I also love calling it as a *medical spa* because the ambiance of the clinic promotes peace, serenity and rejuvenation for the mind and body. When merged with medical procedures, this concept emphasizes the message, “Be pampered while enhancing your look.”Â The treatments are administered and supervised by medical doctors and health professionals. During the consultation cycle, the medical basis of treatments and the outcome of such treatments are explained to the patient. The medical aspect likewise assures the patient that Aesthetic Science is genuinely concerned for their well-being and that results are based on research and proven procedures. Now you see my belleh After this treatment, I felt my tummy to be super soft like all the fat inside has been liquefied and ready to be excreted out of my body!Â So, you will feel your tummy to be very soft and it moves like a â€œjellyâ€ when you touch it.Â After about two days, I felt it becoming firm again feeling the fat that was dissolved to liquid went out of my body.Â They recommended 10 sessions for me. LipoSmash is a non-invasive procedure that breaks down and ultimately destroys fat cells for good. It is a safe, painless treatment and may serve as a non-surgical option to liposuction. This treatment makes use of Ultrasound Cavitation technique wherein low frequency ultrasound waves create tons of microscopic air bubbles exerting pressure on the adipocytes (fat cells) causing fat membranes to burst. This does not affect other adjacent structures thus respecting the integrity of the lymphatic and circulatory system. What happens to the fat previously contained in the adipose cells after its cell membrane is broken? Fat inside the fat cells exist in the form of triglycerides and when the fat cell membrane is destroyed, triglycerides are released into the interstitial fluid between the cells. When outside the fat cell, triglycerides are normally packaged in discrete lipoprotein particles â€“ a combination of apolipoproteins, lipids, cholesterol, triglycerides, and cholesteryl esters. A series of metabolic pathways direct the movement of water insoluble molecules of cholesterol and triglycerides through the water-based circulatory system and to the interstitial fluid space. During the passage through the arteries and interstitial space, lipoprotein-bound triglycerides are catabolized to free fatty acids and glycerol molecules. Free fatty acids released during the treatment will eventually be delivered to the liver. In the liver, there is no distinction between fatty acids that originate from disrupted adipocytes, those taken from adipocytes due to physiological needs or those originating from a meal consumed several hours ago. In other words, free fatty acids released from the LipoSmash-treated fat cells are being processed in normal pathways that nature has evolved for the transport of fat. This machine makes your target areas *work* out while you read a book, have your facial cleaning done or while you sleep and rest The machine cringes your tummy and makes you do 200 ab crunches without hurting your back!Â Sometimes, when I take this treatment, I play games on my phone or just sleep Vince also takes this treatment.Â We know he has abs, but he wants to be perfect so some toning aid from this machine is really helpful as it can target areas that are usually hard to reach when exercising. The E-Series or Electronic Muscle Stimulation (EMS) works on the principle of muscle contraction using electronic currents. It has been used in the past to prevent atrophy in paralyzed patients; to manage incontinence and scoliosis among other conditions; to treat muscle injuries in athletes as well. For AS clinic, they introduse the E-Series as a form of passive exercise and/or as an adjunct to dieting and exercise. This treatment aims to re-tone the muscles for a tighter and firmer look and for a more effective metabolism as well. Electrodes or pads are placed on the body at certain points targeting the muscle groups. The device sends out weak electronic impulses that can be regulated in strength and duration to suit each individual. The impulses create a rhythmic interchange between contraction and relaxation, similar to the effects felt during skilled physical training or exercise. E-Tone is a system designed for men and women who have a desire to lose weight and/or reduce their figure measurement. Studies have shown that many people experience weight gain after slimming due to a reduction of muscle mass instead of fat. Dieting usually slows down oneâ€™s metabolism due to a decrease in the muscle mass. The use of the E-Tone as an adjunct to dieting (and exercise) will build up and maintain the muscle mass during the period of slimming. The patient will thus look thinner with a decrease in body measurementÂ even if the muscle mass increasesÂ because fat occupies 4X as much space as muscle. Aesthetic Science (AS) was established in November 2005 with the objective of providing affordable medical-based skin and body care treatments in a relaxing and soothing ambience of a spa. It adopts the medical spa concept, which combines sound, medical practice and the ambience of a spa. 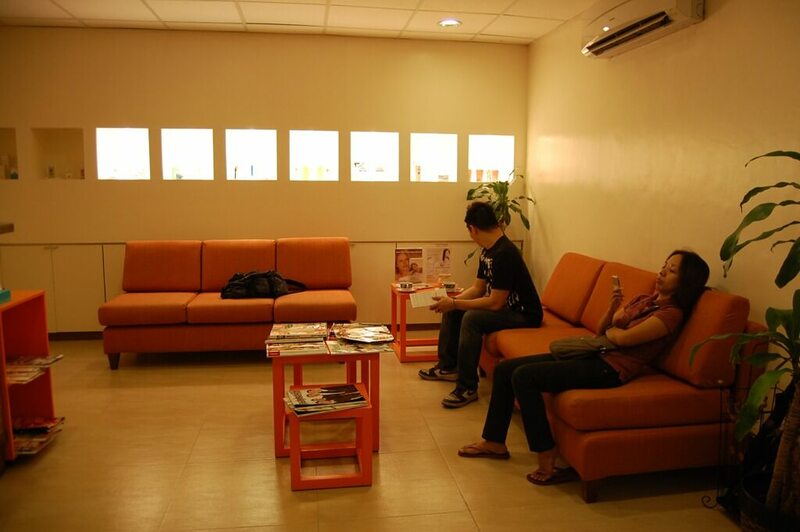 Patients will definitely derive the following benefits from this perfect tandem: Medical Aspect and Spa Therapeutics. 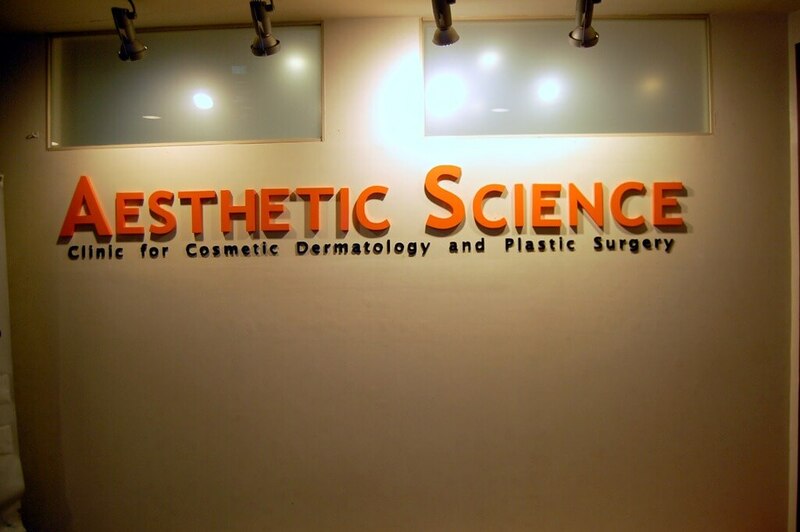 The Aesthetic Science Team is led by Dr. Yanee Vasquez-Santos. She works with a team of Associate Doctors who have an average of 10 years experience in the field and specializes in surgical procedures such as liposuction, nose lift, breast augmentation and blepharoplasty or eyebag and eyelid reconstruction among others. Yes they do. it depends on the area, they can even do it for the face. They brought the price down of the Liposmash pa from Php 5000 to Php 3800 because it’s their anniversary. the Php 3,800 comes with the Liposmash and the E-tone na (packaged). Before it’s separate. oh yes, definitely gym and exercise is a must. this procedure is more on the areas where it’s hard to exercise like my back hurts a lot when I do crunches coz I have scoliosis.